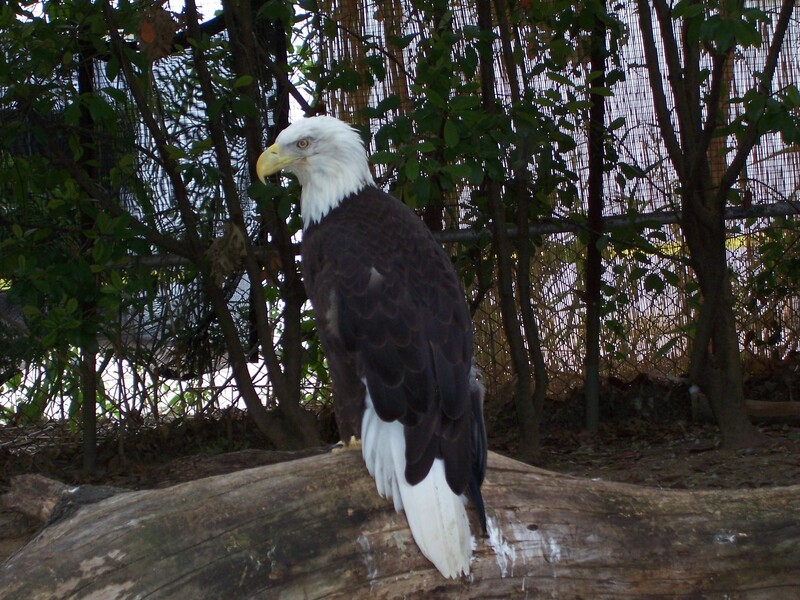 There she was – a beautiful, majestic American Bald Eagle – separated from the curious crowd by a moat and a four-foot fence. She was perched on a large log. Above her the open sky beckoned – no cage, no netting, nothing to obstruct her flight. Yet, there she perched observing her observers. She made no effort to leave her perch. Actually, she could not have flown if she had wanted. She had been grounded by the loss of her left-wing. She lost her wing when she became entangled in high voltage electrical lines. Having been rescued, she was nursed back to health and now she made her home at the Dallas Zoo – a spectacle for curious zoo patrons. As I looked at her, it was difficult to find any defect in her. She still expressed majesty and pride in her regal appearance, but she was damaged never to soar again. How sad! We, likewise, were created to soar – to scale the heights of heaven, but we fell, entangled by the power of sin. To look at us, one would never detect any obvious defect. Perhaps it is because sin is so prevalent around us that we cannot readily perceive it. Perhaps we have become adept at disguising it so that it is not so obvious in our lives. Or, perhaps we have just learned to adapt and work with it and around it. Nevertheless, it is there, present in our lives. We are broken eagles. Unlike the eagle in the zoo, our defect does have a remedy. We do not need to be permanently grounded. We have a Savior who is able to heal and restore our wings and strengthen us to fly higher than we ever thought possible – if only we will wait for, hope in, and trust in the Lord. How will that happen? God says, “I will pour out My Spirit in those days.” (Joel 2:29, NASU) On our own, we remain broken eagles, but with His help, we are “able to do all things, through Christ” who gives us strength (Philippians 4:13).